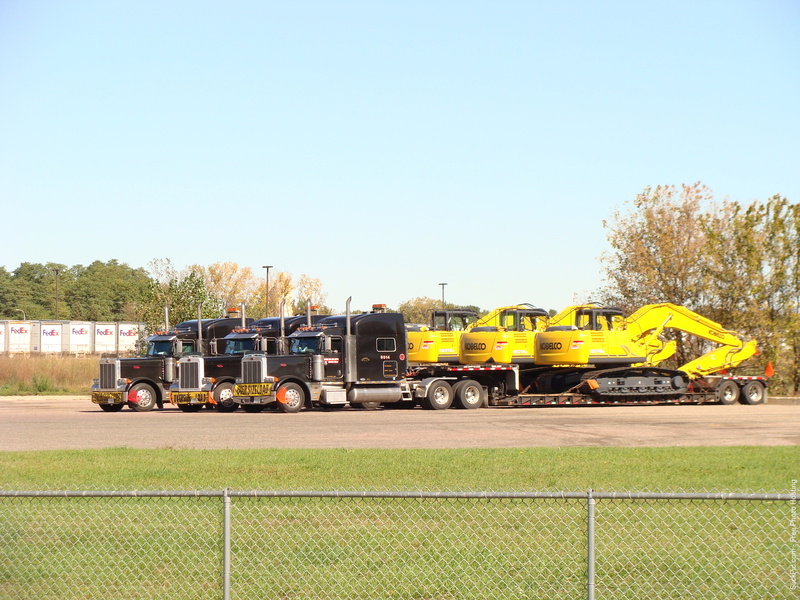 3 TMC's hauling Kobelco equipment?!?!?! Caught me by surprise. I almost quickly looked right past these black Pete lowboys because of the Kobelco equipment on the back....then I noticed...."these are TMC rigs!" Photographed these at the Pilot in Mauston WI this past Sunday. Must have been waiting until Monday AM to deliver at one of the Kobelco dealers in the area. 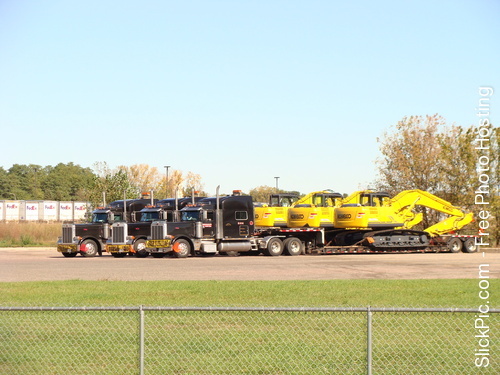 Re: 3 TMC's hauling Kobelco equipment?!?!?! What a sight it must have been to see these trucks in a mini convoy driving on the interstate.